The Johns Hopkins Hospital Department of Surgery Postgraduate Surgical Residency is a 12-month program involving all aspects of patient care. Jennie McKown, MSHS, PA-C, is the director. The JHH Postgraduate Surgical Residency for Physician Assistants earned ARC-PA accreditation in March 2008. To provide an exemplary educational experience, which emphasizes primary medical care, yet will enable graduates to manifest competency and skill in a variety of clinical environments; to inspire graduates to pursue lifelong learning; to foster leadership qualities, which will enable graduates to improve access to quality, affordable health care; and to heighten the status of the physician assistant profession. The mission of the University of Nevada, Reno School of Medicine Physician Assistant (PA) Program is to train flexible and committed primary care clinicians dedicated to strengthening health care in their communities. The vision of the program is to expand and enhance access to health care for all Nevadans through PA workforce development and advocacy for the profession. The mission of the Boston University School of Medicine Physician Assistant Program is to educate physician assistants who will produce exceptional outcomes while caring for a diverse population of patients, including those from vulnerable communities and to cultivate leaders who will advance the physician assistant profession. We value excellence, integrity, social justice, service, and are committed to developing a successful model for interprofessional education and clinical practice. The mission of the Marietta College Physician Assistant Program is to help meet the need for qualified health care providers. 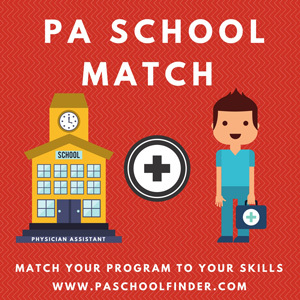 The program accomplishes this by selecting individuals who have the academic, clinical and interpersonal aptitudes necessary for education as physician assistants. The Gannon University Physician Assistant Program strives to provide a stimulating learning environment, highly qualified and motivated faculty, as well as modern facilities that offer Physician Assistant students the opportunity to become well-prepared primary care providers who are leaders in their field and community.